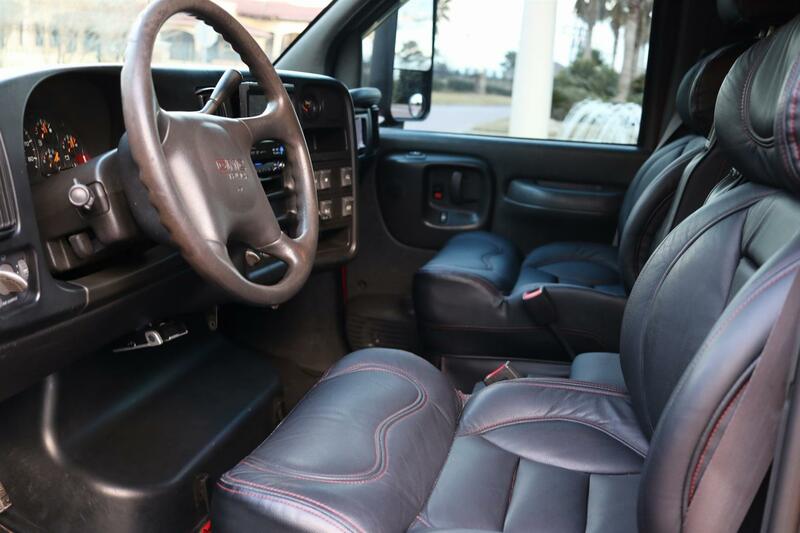 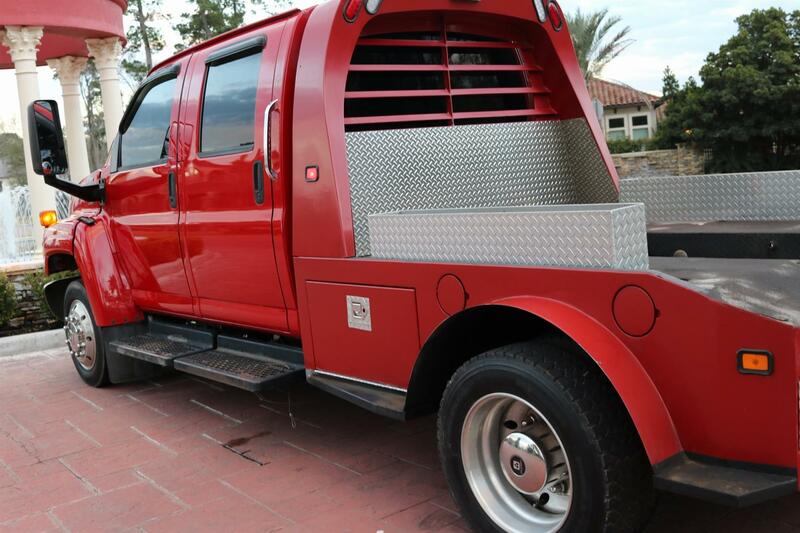 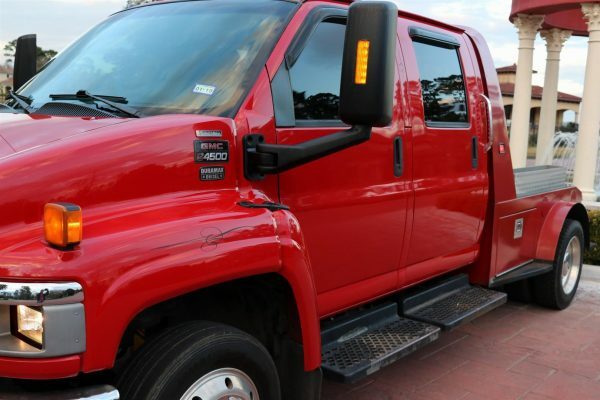 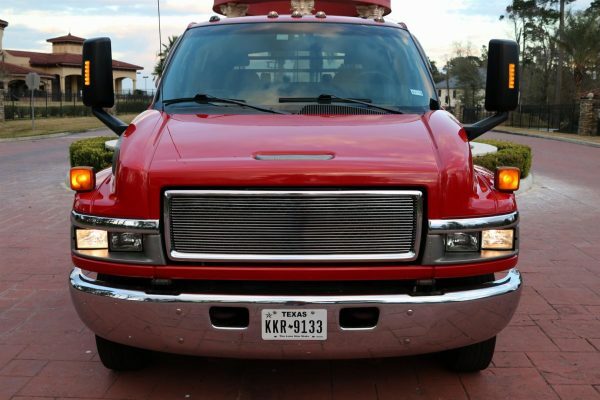 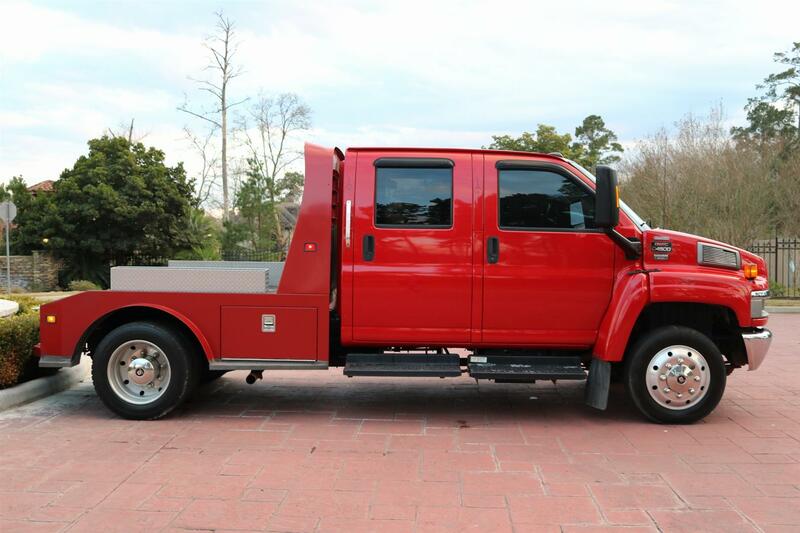 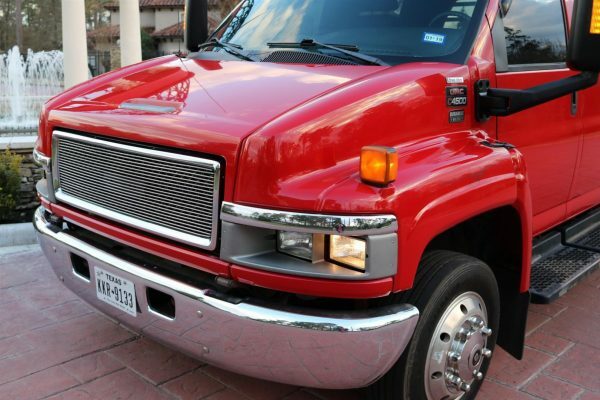 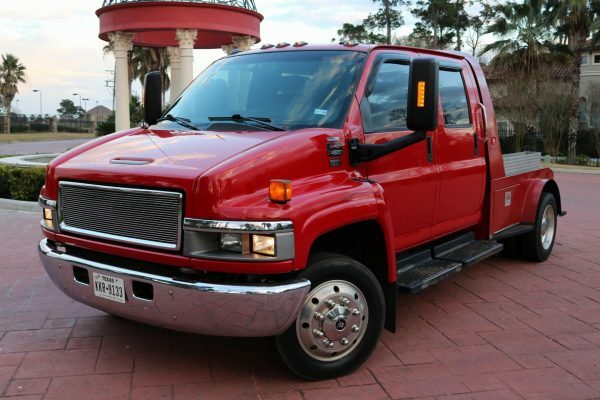 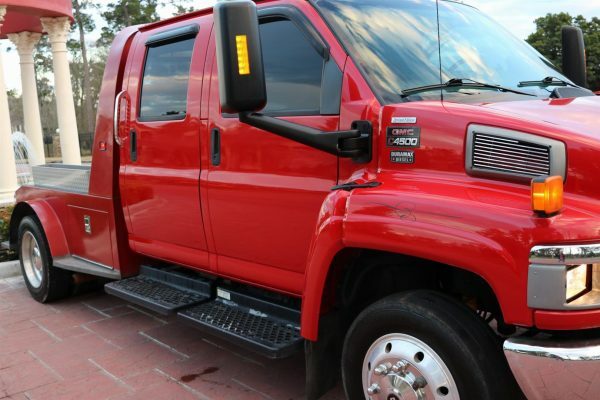 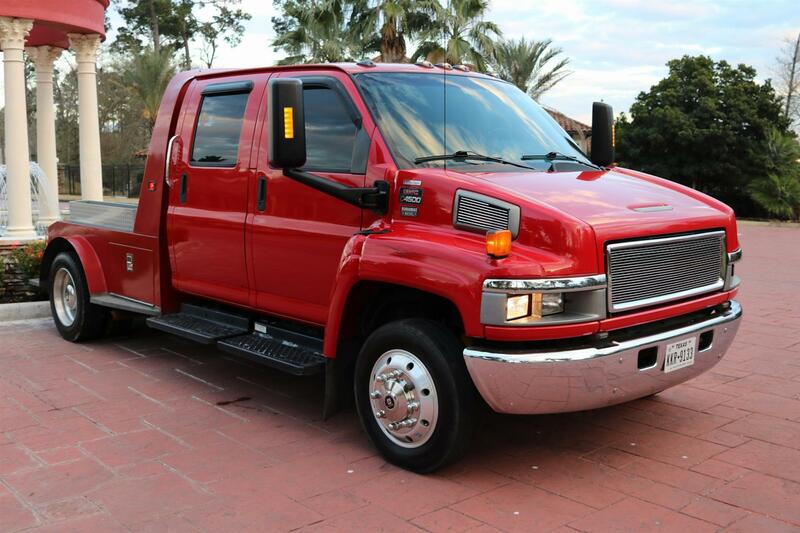 2004 GMC TopKick C4500 Limited Edition – 6.6L Duramax Diesel, Crew Cab, Custom Interior, Rear Bed, Gooseneck, Loaded, Low Miles! 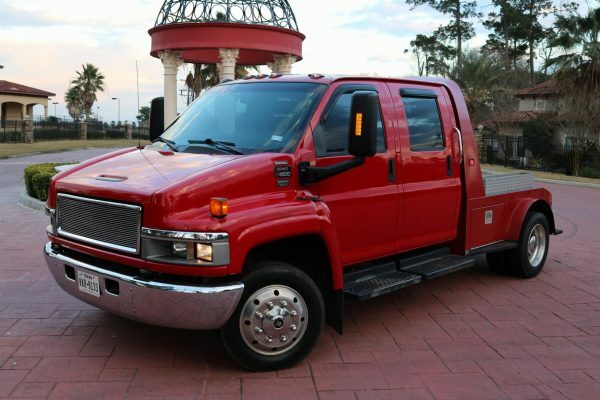 2004 GMC TopKick C4500 Limited Edition – In 2003, General Motors released the third-generation Chevrolet Kodiak/GMC TopKick under the GMT560 architecture. 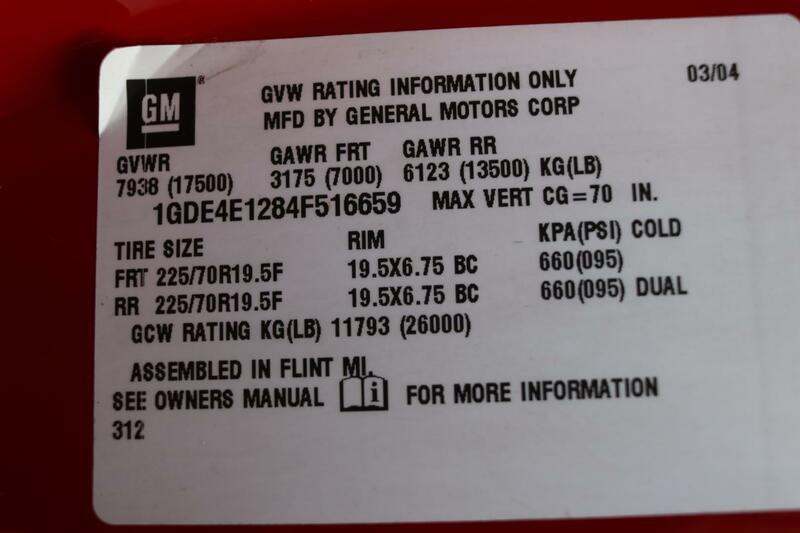 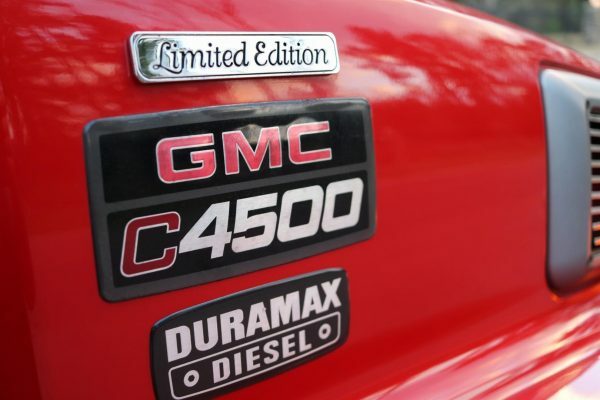 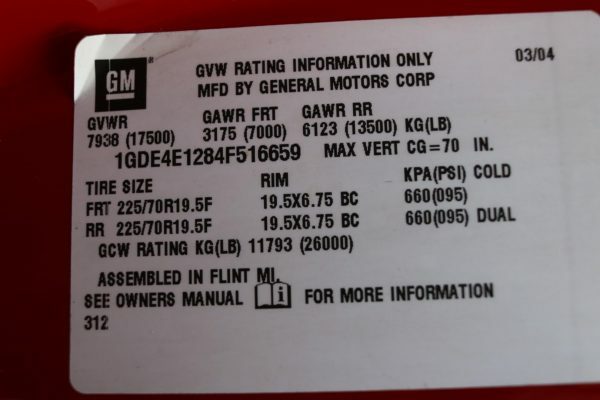 As General Motors felt the two names had better marketplace recognition, the medium-duty truck line was released under the previous Kodiak/TopKick nameplates, with Cx500 as a secondary part of the nomenclature. 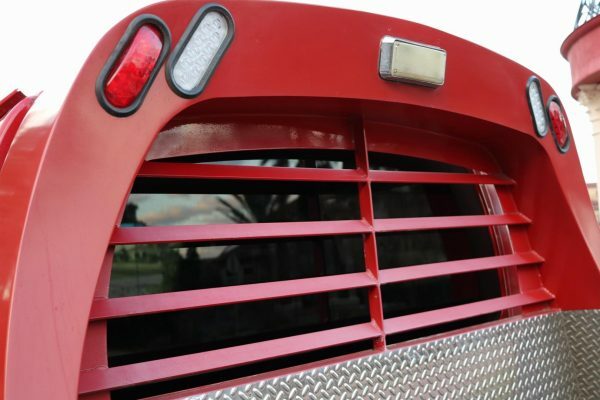 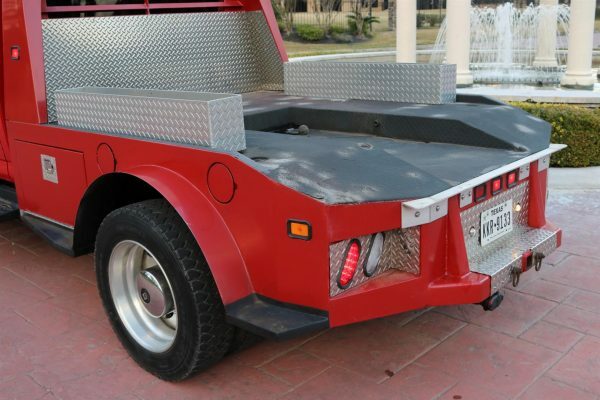 Showcased as part of the redesign was a change in the design layout of the Kodiak/TopKick. 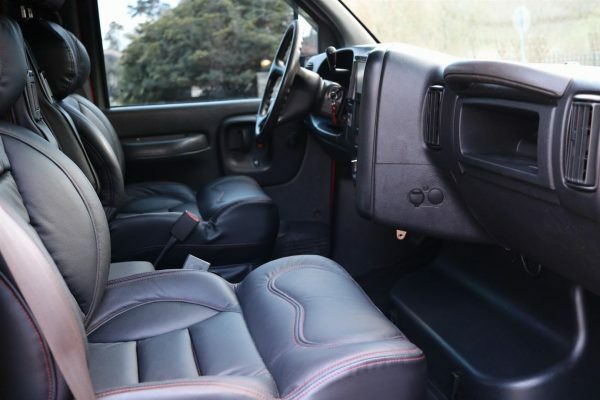 To better compete with the better-selling International DuraStar and Freightliner Business Class M2 medium-duty truck ranges, the GMT560 trucks switched to a vertically-oriented cab configuration to allow for a lower cab floor, increased cab space, and better entry and exit. 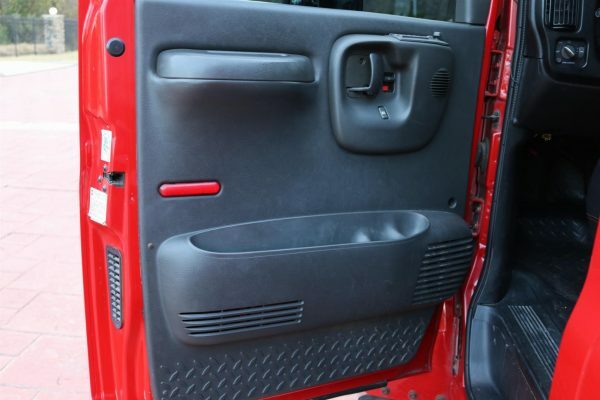 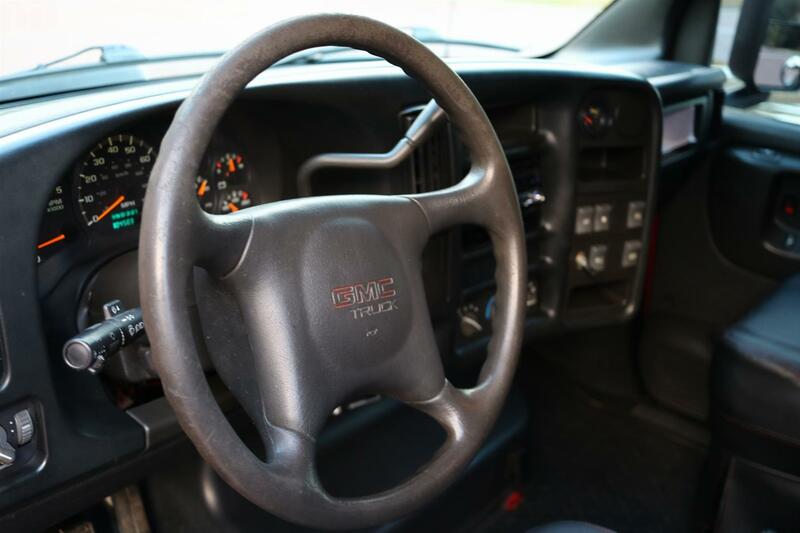 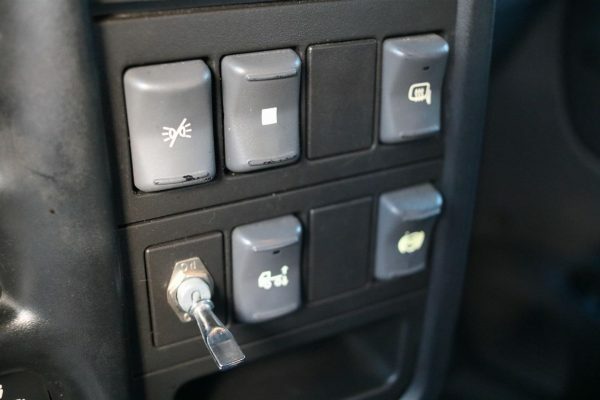 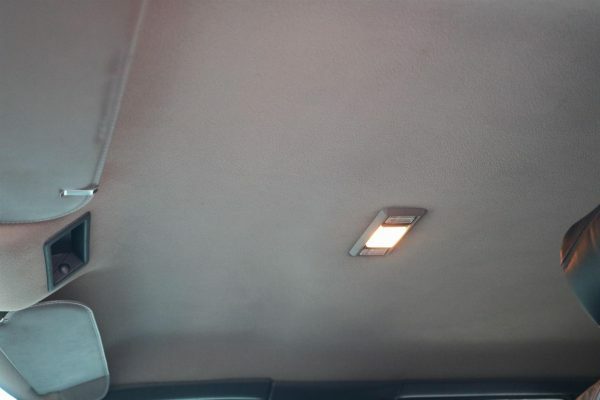 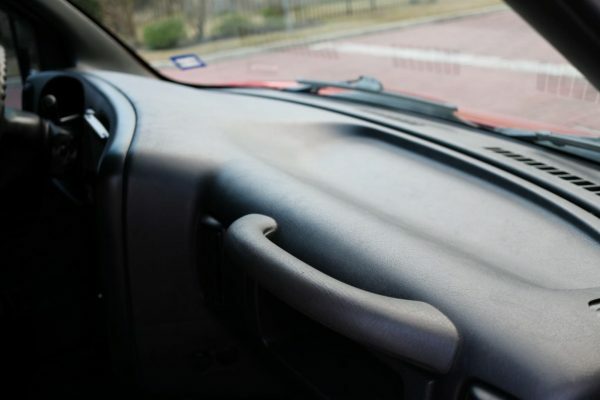 Derived from the Chevrolet Express/GMC Savana full-size van, the cab was produced in two-door and four-door configurations (as the commercial trucks had a GVWR of over 8500 pounds, they were produced without airbags). 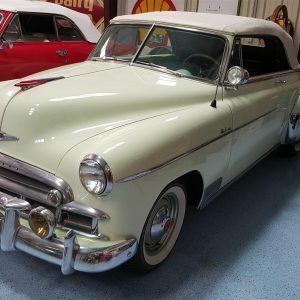 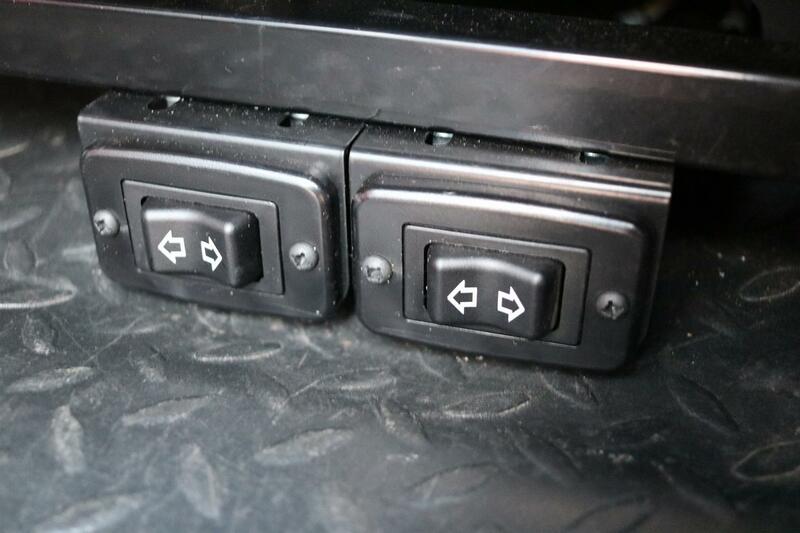 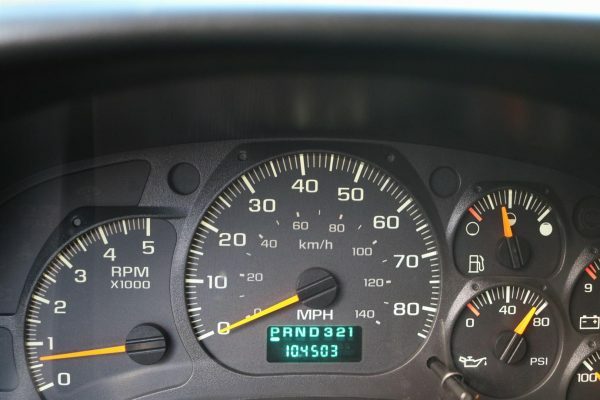 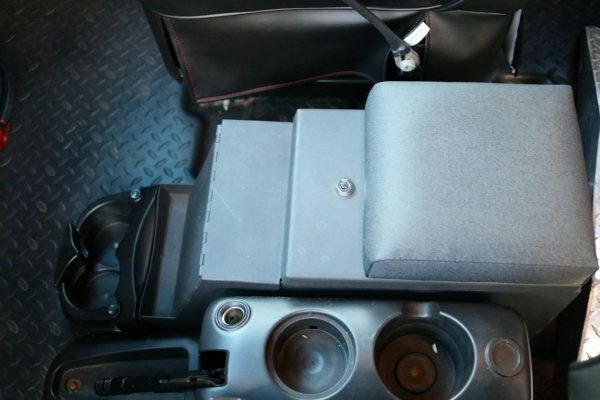 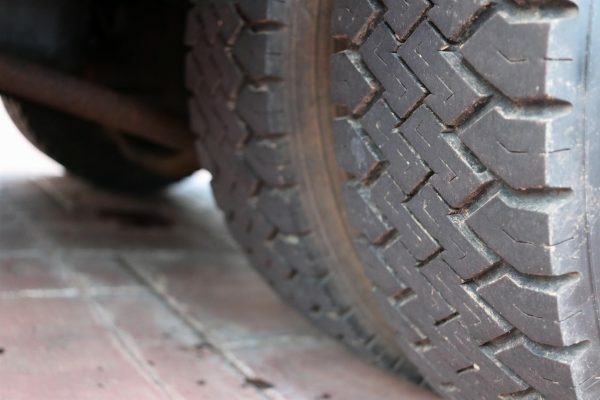 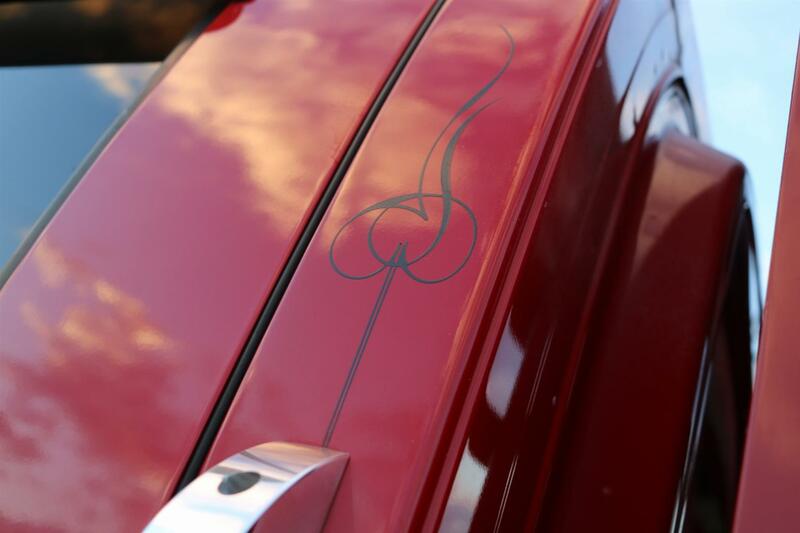 This TopKick is a rare find and in excellent condition for a 15 year old vehicle. 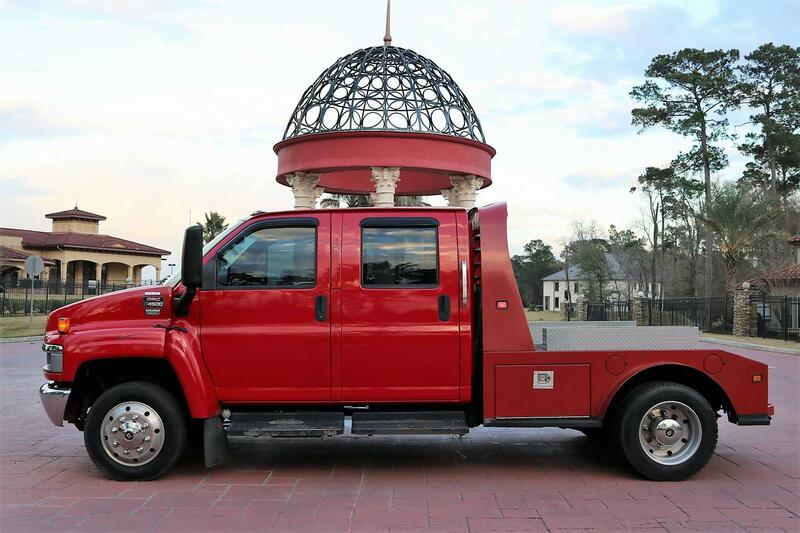 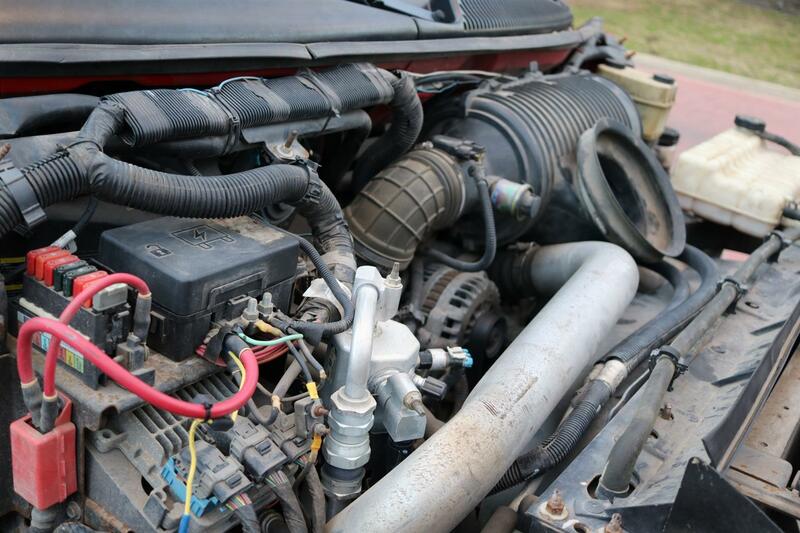 The previous owner used this C4500 to pull large Cigarette boats to events around the country and it still has only 105k miles … nothing for a Duramax diesel engine. It come nicely equipped with all the creature comforts one would need on long road trips. 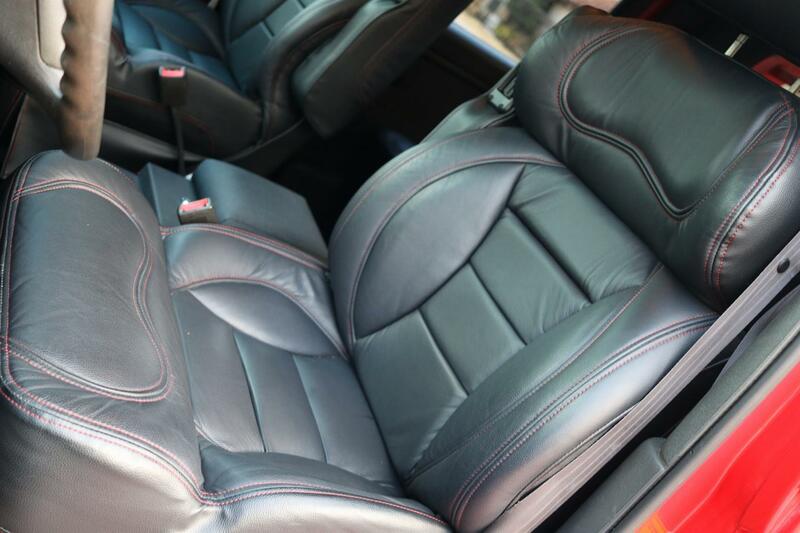 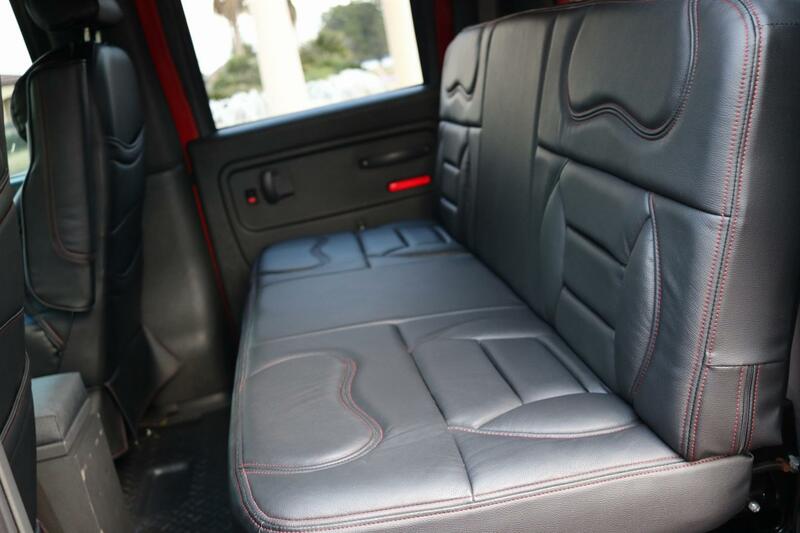 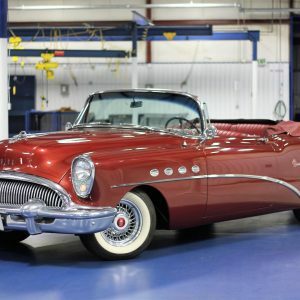 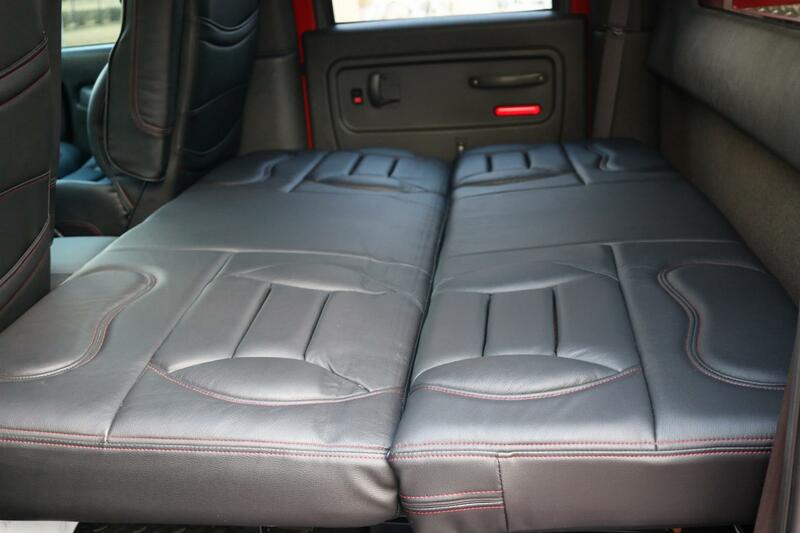 The interior was customized with black leather seats and red stitching that make it looks as good inside as out. With the push of a button, the rear seat folds down into a couch that can easily save you $100/night on any road trip. 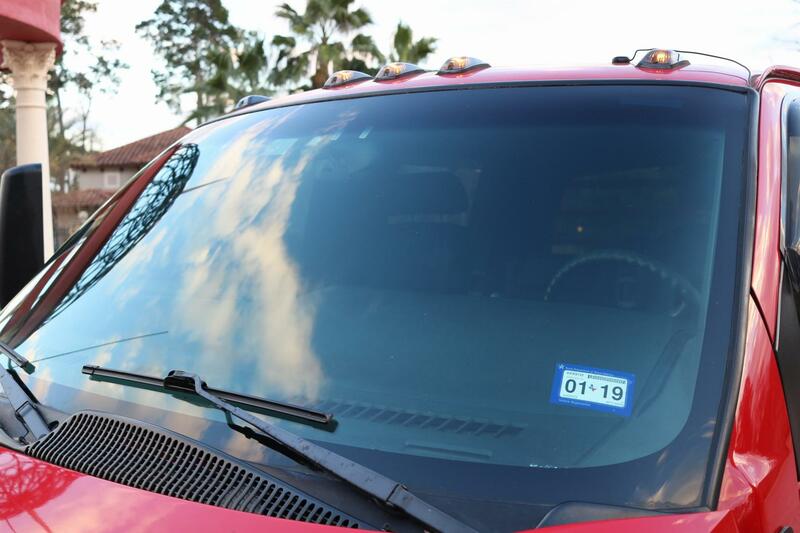 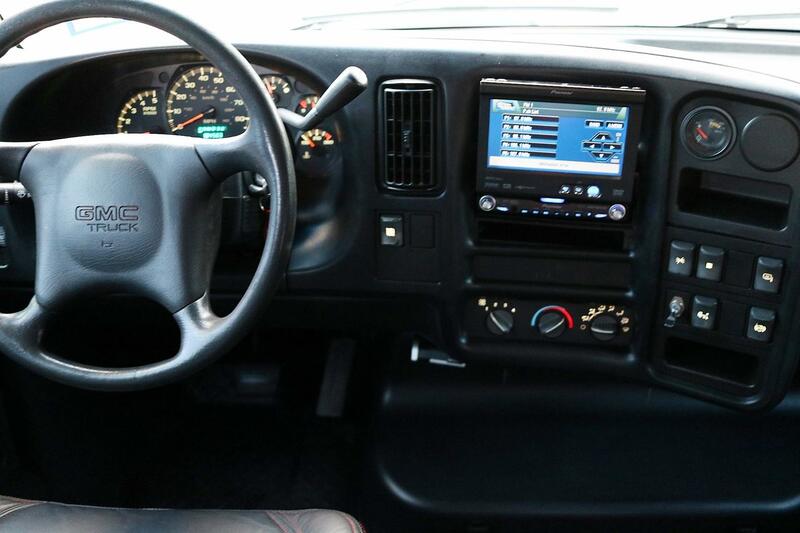 Overall the GMC is mechanically strong, has cold A/C, good tires, and is ready to drive any distance. 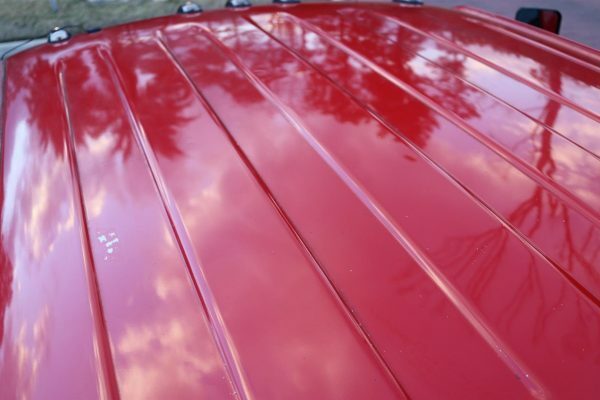 If you want to get picky, the running boards are due for a repaint and a $200 spray-in bedliner would make the rear deck look amazing. 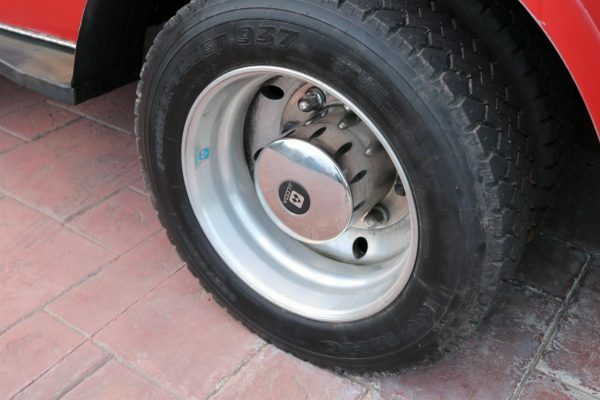 Otherwise, this is one of the nicest Kodiaks or TopKicks you are going to find! 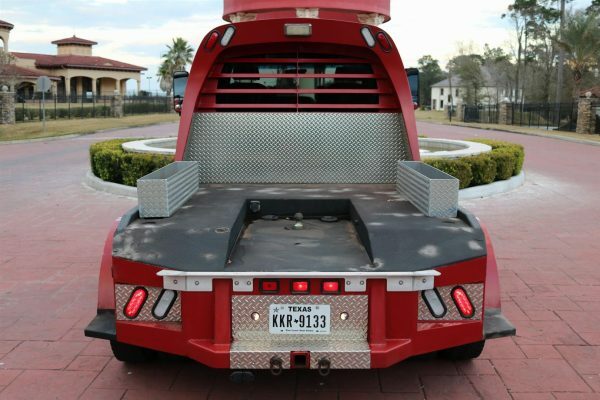 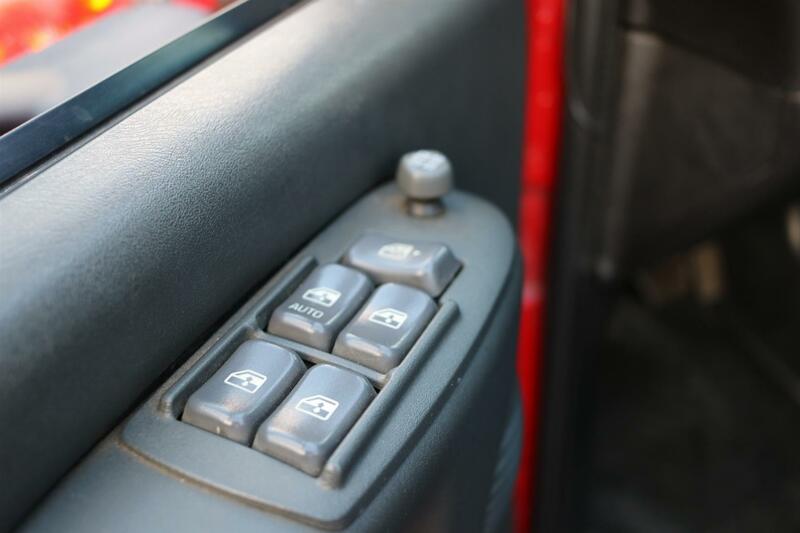 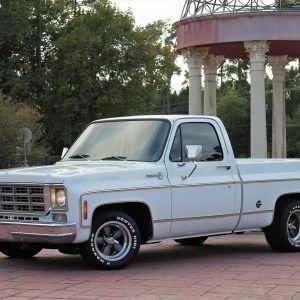 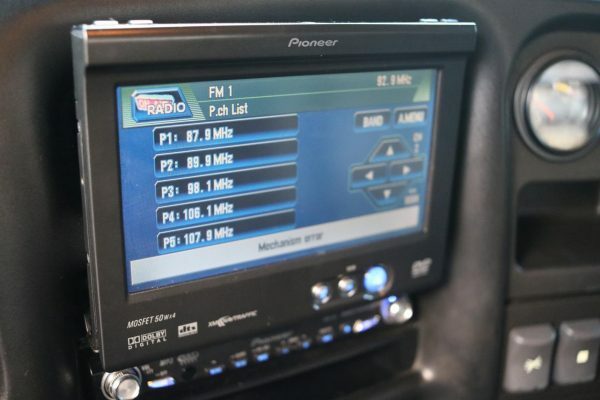 A complete list of features and options includes; 6.6L Duramax Diesel, Auto, 2WD, Crew Cab, Power Steering & Brakes, Power Windows/Locks/Mirrors, Power Rear Seat/Bed, A/C, ABS Brakes, Locking Center Console Storage, Chrome Grill, Chrome Front Bumper, Cruise Control, Diamond-plated Storage Boxes, Built-in Air Compressor, Pioneer AVIC-M3 AM/FM/CD, Navigation, Tilt Steering, Tinted Glass, Window Visors, Tow Package, Gooseneck Receiver, 19.5″ Alcoa Rims, and Thick 225/70 R19.5″ Tires! 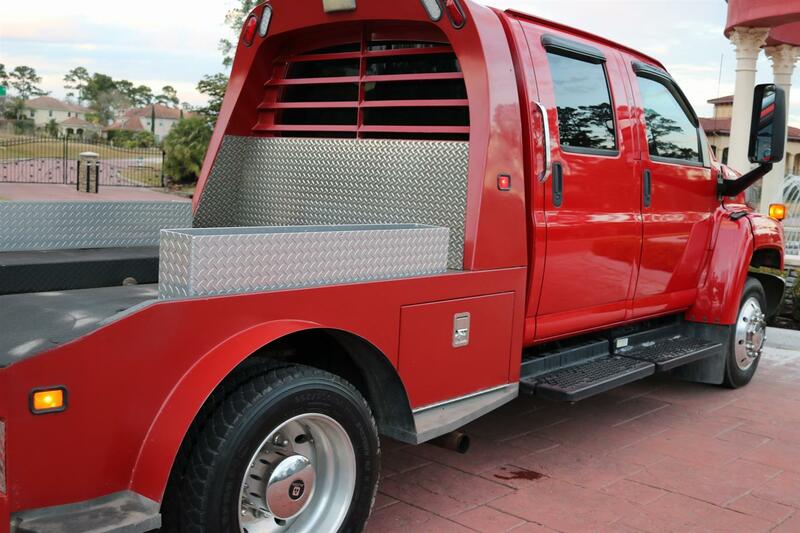 We don’t anticipate this one staying around long so contact us today to become an owner.